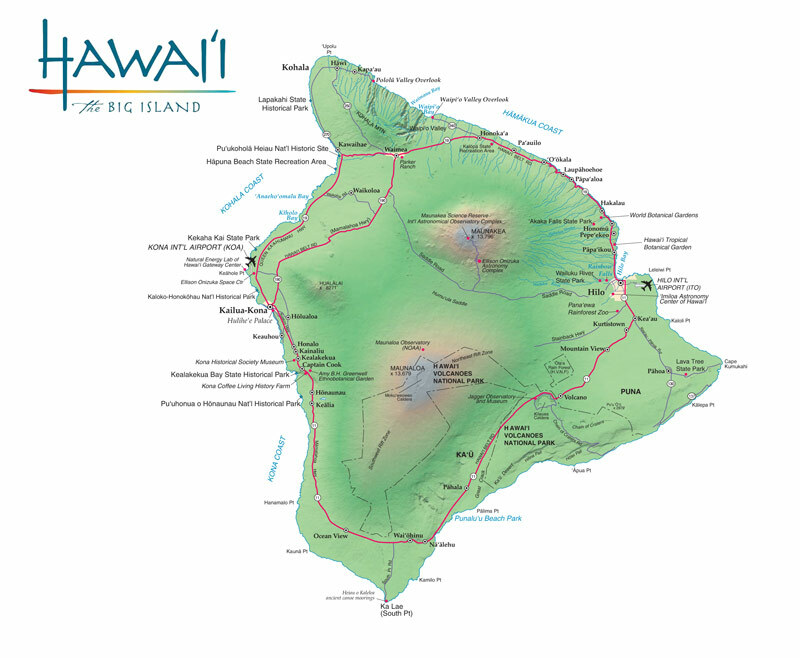 A helicopter tour is a great way to see and experience Hawaii Big Island, the pilot will give you insight into the islands history, and circling the Volcano you experience the sheer vastness of the lava flows - truly inspiring! Fantastic location for a special romantic sunset evening, location on the beach, sunset, food, service, wine list all absolutely out of this world.! If youâ€™re in Kona, you must try Kope Lani Heavenly Coffee and Ice Cream, flavours you cannot imagine, tasters to enjoy, great location, simply the best ice creams ever! 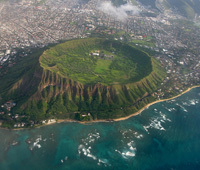 The largest and probably the most imposing of all the Hawaiian Islands this is the ultimate in an exotic holiday adventure. 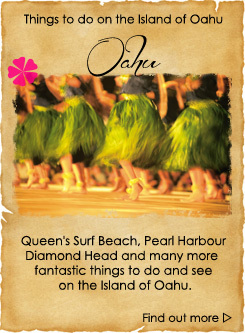 The emphasis here is on exploration, discovery and total relaxation. 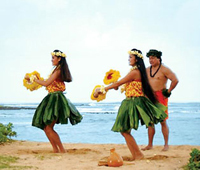 Hawaii Island will mesmerize and enchant you; whatever you look for in a holiday this is where you will find it. 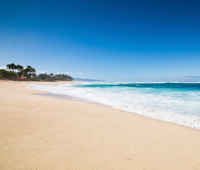 For those who want to fill every hour of every day there is a great variety of activities, sightseeing and excursions to enjoy and if it all becomes too much just chill out on a blissful sandy beach or relax over a Hawaiian culinary delight in one of the many superb restaurants. This Park and World Heritage Site cover 333,000 acres from the summit of Maunaloe to the sea with many hiking trails that will take you through craters, deserts and rainforests. You will be entranced by the incredible sights at this park especially Kilauea Volcano being one of the most active on earth and producing 250,000 to 650,000 cubic yards of lava a day! You can sometime even watch the lava flowing into the sea and the landscape change before your eyes, a remarkable sight. Donâ€™t miss a chance to swim with the dolphins on the beautiful Kona Coast as they live and play in their natural ocean habitat. This is a unique experience to interact with these highly intelligent mammals, and will become a memory that will last forever. Tours are available so donâ€™t miss the opportunity to book one of these. These majestic fish have wingspans of 20 feet or more. The best way to see them is at night on one of the boat tours available setting off around sunset from Honokohau Harbour. 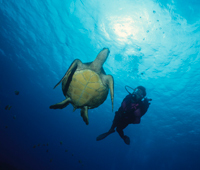 If you wish you can swim with the mantas, snorkelling is permitted and also certified scuba divers. These wonderful gentle giants will often glide by you in extreme proximity but present no danger to swimmers. Active volcanoes on Hawaii Island have produced white, green and black sands and famous for its black sand beach is Punaluu. 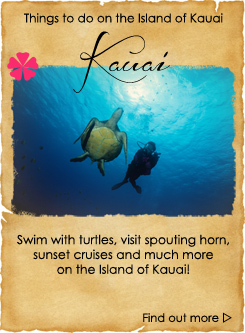 Here you can enjoy a picnic area and watch Hawaiian Green Sea turtles basking in the sun, an unforgettable sight. 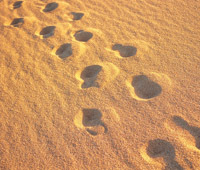 On the south side of Hawaii are several other black sand beaches worth exploring. Waipio Valley was once home to thousands of native Hawaiians but only about 100 now remain who live amongst the waterfalls and rivers. The Valley is tropical and this area is exceedingly beautiful. 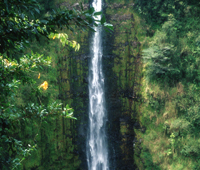 Guided tours by horseback or hiking or by truck are available for you to see the Valley and you will marvel at Hawaii Islandâ€™s tallest waterfall with a drop of 1,300 feet, an amazing spectacle. The helpful guides are always keen to explain the many legends that abound here and answer any questions. This centre is a $28 million planetarium and museum. With Hawaii Island being one of the most reputed astronomical sites in the world and with a new centre now open to the public you can study the stars and experience the IMAX-style movie presentation that gives the sensation of flying through space. There are stargazing tours available supplying everything you need from transport to warm clothes and even dinner. Ascend the mountain summit of Maunakea approximately 13,796 feet above sea level being the tallest sea mountain in the world. As there is minimal light pollution the views of the stars are amazing. You can also watch a sunset above the clouds a truly magical experience! Although once a small sleepy fishing village on Kona Coast this is now a lively seaside town and where visitors love to explore Coconut Grove shopping area with its unique shops and there is plenty of free parking if you drive here. There are ancient temples and churches to see and in particular Ahuâ€™ena Heiau a thatched ancient sacred temple site surrounded by carved wooden idols where until the 15th century it contained a temple of human sacrifice build by High Chief Umi, but was then reconstructed built by King Kamehameha 1 as a temple of peace and prosperity. 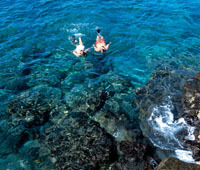 Here there are three tiny beaches where you can view a beautiful coral garden by snorkelling off the shore. 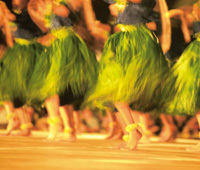 Stop off to enjoy some good local food at one of the wonderful restaurants and where there is also plenty of Hawaii style nightlife with live music. Another fascinatingplace to visit is Hulihee Palace. Parker Ranch is one of the oldest ranches in the country and rich in history. The best way to enjoy this is on horseback where you will be exploring the many historical sites such as the Blacksmith Shop, the original horse breaking pens and Red Track where Parker Ranch trained their world record-holding thoroughbreds. Ride through rolling hills and whether you are a beginner or experienced rider, you will be welcomed to ride with the Cowboys of Hawaii. Located on Alii Drive in Kailue Village is the Hulihee Palace that was previously the summer vacation home for Hawaiian royalty built in 1838. This is a must if you enjoy delving into some fascinating Victorian history as now being a museum you can view the beautiful ornaments, furniture and artefacts. Every month there are free music concerts with the Hulihee Palace Band. Across the street is Hawaiiâ€™s earliest church Mokuaikaua built in 1820 also well worth a visit. The Kona Inn was the first destination resort to open in West Hawaii and leads onto a large lawn shaded by palm trees and leads to the ocean. 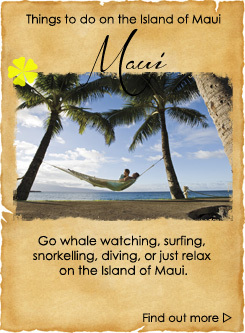 This is a wonderful area for whale and dolphin watching and enjoying the Kona sunsets. Here you can enjoy a picnic and explore the Inn with its many interesting shops and good restaurants. 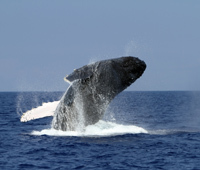 Humpback Whales migrate to Hawaii in December to breed and leave in April. 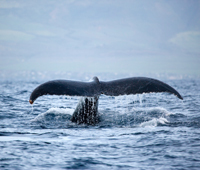 To view these magnificent animals you can take a trip out to sea where you can see and hear how the whales behave during this time and you will even be able to listen to the famous haunting whale songs. Known as one of the best markets to visit in Hawaii Hiloâ€™s Farmers Market is popular with locals and visitors alike. Here you will be able to find all the different kinds of exotic fruit, vegetables and nuts grown on the island as well as Papayas that are also grown here and maybe sample one of the popular Strawberry Papayas. There are also colourful flower stalls, handmade jewellery and plenty of other craft items including koa wood and etched glass. 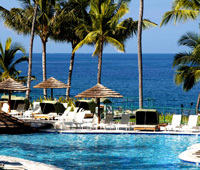 Kona Coast is famous for big game fishing tournaments. Visitors are encouraged to get a taste of this by taking a deep sea charter, but for the less adventurous you can discover other means of fishing from jetties and streams on dry land. Whatever you fancy there is something for the enthusiast or beginner. If you want to try your hand at kayaking there are outrigger canoes available for all the family to enjoy and Kayaks can be rented with lessons for the less experienced and beginners. 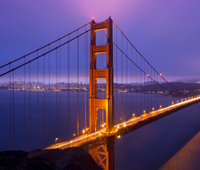 There are also guided tours selecting the best views along the way. 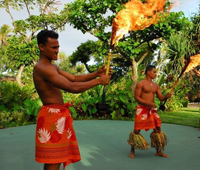 Here we have given you just a taste of Hawaii Big Island but there is much more to discover with its beautiful hotels, tours and excursions. Our expert team will be able to guide you through all availabilities to help you plan and book your holiday of a lifetime. 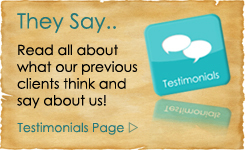 You can either call us or send an email and we will give you all the information you need.